Originally released in 1978, From The Inside is a concept album by Alice Cooper. His 11th studio album was inspired by his stay in a sanatorium to recover from his alcohol addiction. The singer – who once boasted he drank more than a case of beer a day to keep fit – had failed to overcome his drinking problem through private treatment and therefore felt it necessary to undergo a hospital program of treatment. The characters in the songs on the LP were all based on actual people the shock rocker met in the sanatorium, while the album’s cover image is a close-up of Alice Cooper’s face printed on two doors that actually open up and lead into a hospital waiting room. The printed inner sleeve features an image of Cooper and the other ‘inmates’ running out of the sanatorium once they were released. The album shows Alice Cooper at his most vulnerable, most notably in the record’s hit single “How You Gonna See Me Now” (a power ballad even before the term was invented). If this album proves one thing, it’s that Alice Cooper is one of the most underrated songwriters out there. Guest musicians include Toto’s Steve Lukather and Cheap Trick’s Rick Nielsen. 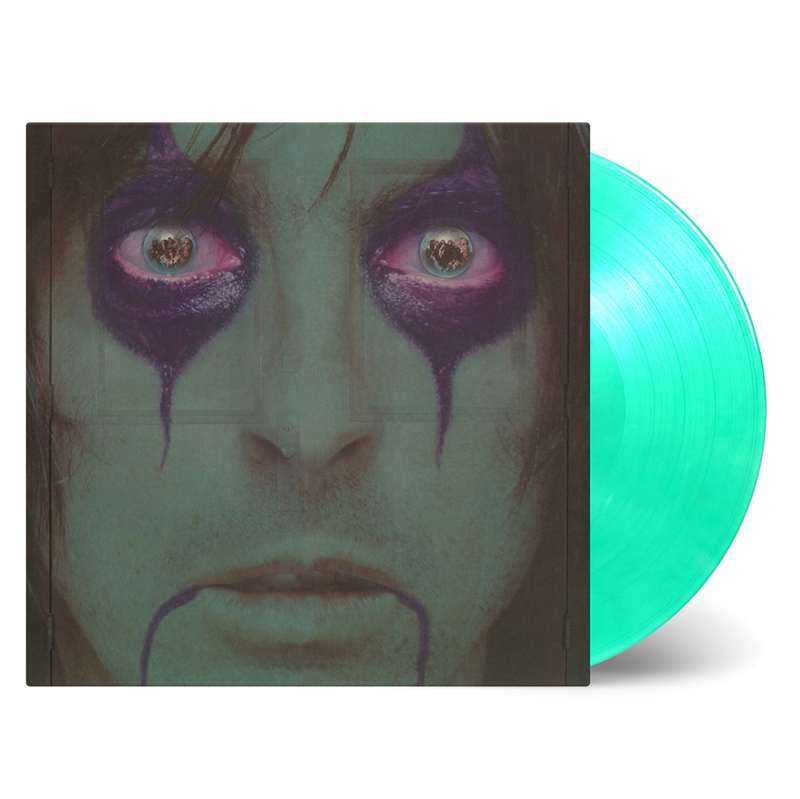 From The Inside is available as a limited edition of 1.500 individually numbered copies on coloured (chrystal clear, transparent green & little bit of white mixed) vinyl.